Investments in building efficiency retrofits can simultaneously address the challenges of economic recovery, energy insecurity, and global warming by laying the foundation for sustained economic growth, driving demand in the construction and manufacturing sectors, and creating hundreds of thousands of good jobs across the country. Retrofitting our homes and businesses will also slash consumer energy expenditures, increase real estate values, and provide low-cost, near-term reductions in global warming pollution. Today, buildings account for 70 percent of all U.S. electricity consumption and 40 percent of total U.S. greenhouse gas emissions. Yet much of our housing and building stock is old, inefficient, and unnecessarily wasteful. While building codes and green building standards offer a tool for achieving deep improvements in energy use for new buildings, half of the buildings that will be standing in 30 years already dot our landscape. Any strategy to capture the benefits of energy efficiency in our “built environment” must include a program to retrofit our existing stock of residential, commercial and industrial structures. Deep building retrofits can cut energy use by 20 to 40 percent with proven techniques and off-the-shelf technologies. Best of all, they can pay for themselves from the energy they save. “Rebuilding America,” a national program to cut energy waste in buildings, could reduce energy bills economy-wide by hundreds of billions of dollars annually. Energy efficiency retrofits also create good local construction jobs across the country at a time when well over a million construction workers sit idle in a sagging housing market. Demand for the manufactured products needed to retrofit buildings will also result in jobs by revitalizing the manufacturing sector and contributing to sustainable, long-term economic growth. If building retrofits can be profitable and offer so many additional social and economic benefits, why has a large-scale market not yet materialized? The short answer is that the market for energy efficiency faces many information failures and real market barriers. Without specific public policies to encourage widespread private investments in energy efficiency, the great value of this market will be left unclaimed. The U.S. economy will be worse off for this failure to act. So too will our planet. Poor availability of information for consumers about their energy consumption. Split incentives between building owners and tenants to invest in energy efficiency retrofits. Lack of capital or access to capital to support investments in energy efficiency. and do not take into account the benefits of energy efficiency. Perceived costs of retrofits, and a lack of knowledge about available solutions. credit instead of conveying with property. Disaggregated energy efficiency markets where many small decisions about purchasing, materials, operations, and maintenance are required in order to realize savings. High up-front borrowing costs for retrofits. The risk of creditor default in a real estate finance market that today is severely constrained. 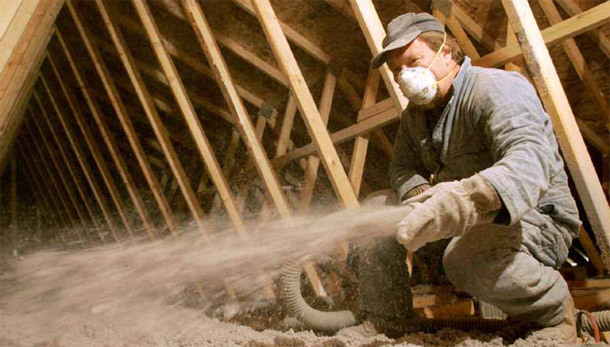 Congress and the Obama administration have a historic opportunity to ensure that investments made in weatherization and energy efficiency as part of the recently passed American Recovery and Reinvestment Act evolve into a sustainable clean-energy retrofit program and a linchpin of the American economy for years to come. Together, government policymakers can forge a strategy that pursues clean energy as a tool for local and regional economic development in states and communities nationwide, as well for U.S. global economic competitiveness. Retrofitting our houses and office buildings cannot be accomplished by public programs alone, however. Rebuilding our “built environment” will require changes in our real estate markets, new energy efficiency financing tools, more skilled labor to handle the construction and inspection work, and new private capital investments in the industries, infrastructure, and workforce required for energy efficiency. A coherent and coordinated national strategy for unleashing the market for energy efficiency is essential. “Rebuilding America” focuses on the challenge of dramatically increasing investment in residential and commercial building energy efficiency, with a goal of retrofitting 50 million buildings—40 percent of our building stock—by 2020. Reaching that goal will require $500 billion in public and private investment but will directly and indirectly generate approximately 625,000 sustained full-time jobs and save consumers $32 billion to $64 billion a year in energy costs, or $300 to $1,200 a year for individual families. Easier access for new customers to energy-retrofit programs and financing. Improved capacity of businesses to meet this new demand for retrofits. Training and certifying workers to handle this new demand and assure quality. Affordable financing for residential and small business retrofits. New institutions that will organize this market. Technical assistance and capacity building to create a national energy efficiency effort that builds and strengthens existing state, local, and private sector initiatives. Retrofit financing and cost recovery mechanisms to facilitate investment and capture the value of energy efficiency. Retrofit performance standards and quality assurance to improve consumer confidence and facilitate measurement and verification of energy savings, in this now deeply fragmented market. Smart codes and regulations to shift incentives toward efficiency and provide certainty for investors. Workforce development programs and job quality standards to supply the requisite high-quality labor force. Utilities and other suppliers of electricity and gas. Banks and insurance companies that provide mortgages, insurance, and other financing. Local governments to whom building owners pay property taxes for public services. Consumers: Enhancing confidence with standards for auditing, performance measurement and verification, and better labeling of energy efficient buildings. Workers: Building strong labor markets through career training, job quality standards, and community-based pre-apprenticeship programs. Industry: Empowering building owners and contractors to act by providing better information to markets through and standards, incentives, and data. Without a strong public policy framework, the private sector acting alone will not invest to maximize the clear private and public benefits of encouraging comprehensive energy efficiency, and the harm to the global climate will continue unabated. Over time, however, the public-sector role in jump starting these new energy efficiency markets can be reduced as the private sector develops improved business and finance models and once a price is established on global warming pollution. That is the path outlined in this paper. The Rebuilding America coalition includes over 60 business, labor, and environmental partners who support a policy of near-term investment in clean-energy jobs through building energy efficiency retrofits.